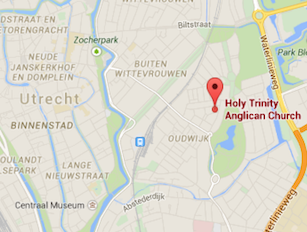 Holy Trinity Utrecht is currently using the one-year Traditional Western Eucharistic Lectionary. Some on the Utrecht Leadership Team have questioned this and wonder if we should change back to the new three-year Revised Common lectionary. Christian Classics Study Group will have an evening dedicated to understanding the advantages and disadvantages of each of these two optional lectionaries in the Church of England. Members of the Utrecht Leadership Team are hoping to attend to be more familiar and so be better able to make a decision about which lectionary we should use here at Holy Trinity in future. But this evening is open to the whole congregation, to all who are interested in learning about why we use the particular readings we do each Sunday. The evening will be led by our Chaplain David Phillips. Where: The Parsonage, van Hogendorpstraat 26. Please let David Vollmer (office@holytrinityutrecht.nl or 06 285 529 53) know if you would like to attend the supper so we can prepare sufficient food.